﻿FLYING Smart has been appointed as the TBM exclusive distributor for the United Kingdom, Ireland, the Channel Islands and Isle of Man by Daher, manufacturer of the legendary TBM single engine Turboprop. With in-depth knowledge about the TBM family, FLYING Smart﻿﻿﻿ will guide you through every step of your purchase and provide the best after-sale service. Contact us for any enquiry and to arrange for a demo flight. 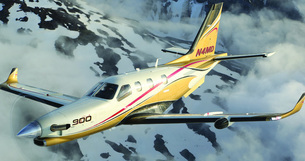 ﻿FLYING Smart has been appointed as the PIPER exclusive distributor for Belgium, France, Luxembourg and Monaco by Piper USA, manufacturer of the legendary range of aircraft to suit every need from trainers, twins to high end turboprops. With in-depth knowledge about the Piper family, FLYING Smart﻿﻿﻿ will guide you through every step of your purchase and provide the best after-sale service. In addition to new sales of the TBM and Piper, FLYING smart is there to help you sell, purchase and ferry your used airplane or rotorcraft. We help you structure your acquisition to make sure you get the right aircraft for your needs, provide you the proven legal & financial framework and network to make ownership a success. You purchased an airplane to simplify your travel needs. However, ownership comes with its share of cumbersome details. FLYING Smart can provide you with the most painless experience by managing your aircraft for you. Keep your key in your pocket and we will take care of the rest! Pilots who have been approved can rent from our fleet and take advantage of our Wingman program to reach full proficiency if needed from one of our 6 locations. Qualified PIC can rely on FLYING Smart to manage overfly permits, flight plans, PPR, Handling & fuel requests 24/7. Contact us to set you up. Non pilots can also join FLYING Partners and get to fly on our fleet currently available in France, Belgium and the UK. FLYING Smart can also help you customize real flying adventures such as a long weekend in Iceland and Greenland or even a full transatlantic crossing to America. Our experienced team will either assist you to prepare your trip and/or come along for safety. Flying Smart signed its distributorship contract with Daher during Le Bourget airshow 2015. Here is the link to the French news coverage.